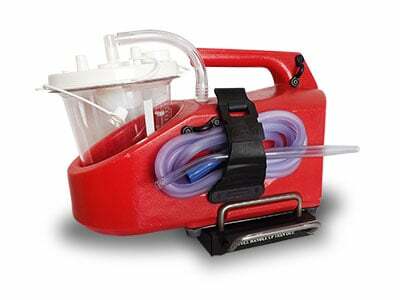 Airway obstructions are among the most common medical emergencies first responders must treat. These obstructions can be mild, making breathing difficult or painful, or they can be urgent and life-threatening, as is the case with a choking child. One recent study found that more than one in five seniors have an airway obstruction. This suggests that, even when a patient calls a first responder for another reason, airway obstruction may be a factor. First responders should always check for an obstruction, even if the patient’s symptoms seem unrelated to the airway. Infections such as the flu and pneumonia are major contributors to airway obstructions, especially in the elderly and children under the age of 4. When a person has a second medical condition, such as asthma or COPD, infections pose a more urgent risk to the airway. COPD, often due to smoking, narrows and inflames the airway. This can cause an obstruction that is not fully reversible and that makes breathing steadily more difficult. Because the airway is already narrow, patients with COPD face a higher risk of morbidities and mortality when they contract infections. In most people with asthma, airway obstructions are temporary and minor. However, during moments of stress, an asthma attack is more likely s. So it’s important to treat all patients with asthma as potential airway obstruction patients. 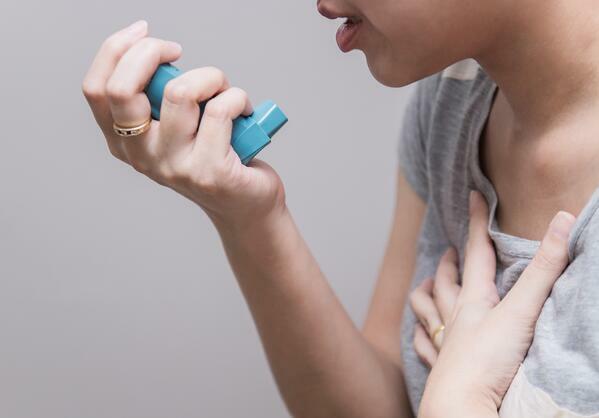 Moreover, severe asthma attacks can prove lethal, especially in the absence of a respiratory inhaler and in vulnerable populations s. So it is important to always ask about a history of asthma. Choking can fully obstruct the airway. Sometimes, the airway obstruction is partial and the person can still breathe. 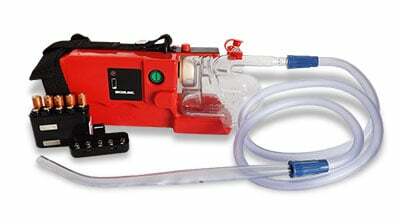 But if the object moves even slightly or the airway swells, they can choke in a matter of minutes. 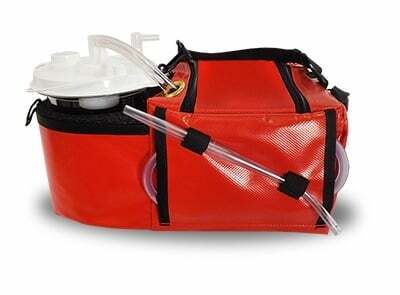 A related emergency, aspiration, happens when a person inhales fluids such as vomit or water. 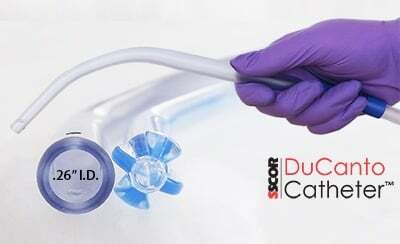 Aspiration can obstruct the airway, but it’s more likely to cause injuries via the introduction of contaminated fluids to the lungs. A wide range of growths, including tumors of the throat, very large lipomas in the neck, and abscesses in the nose, mouth, or throat can obstruct the airway. These obstructions are normally slow-growing. However, when a person experiences another airway obstruction, such as a swollen airway due to COPD or inflammation due to pneumonia, these slow-growing obstructions can become life-threatening. Allergic reactions can cause the airway to quickly swell and even close. These airway obstructions are emergencies that demand immediate treatment—usually with epinephrine. Anaphylactic reactions typically appear quickly, within 30 minutes of exposure. However, some people experience a secondary anaphylaxis 12-24 hours after the first reaction. The most common culprits in anaphylaxis include insect stings, medications, latex, and foods such as shellfish and peanuts. Traumatic injuries to the airway can cause the airway to swell and undermine breathing. First responders should note that iatrogenic injuries—often sustained in an attempt to clear another airway obstruction—are common. It’s critical to proceed slowly and carefully, to only work on an airway you can see, and to use an appropriately sized catheter. 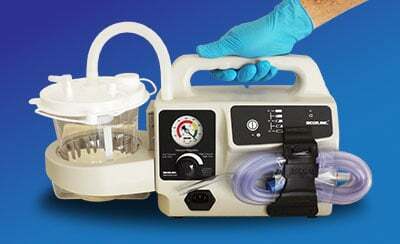 Sudden bleeding or swelling may indicate an injury due to airway suctioning. Traumatic injuries of the brain and spinal cord do not directly induce airway obstructions. Rather, these injuries can impede a patient’s ability to clear their own airway, make it more difficult to safely swallow food, or cause patients to adopt positions that increase the likelihood of an obstruction. The right equipment saves lives. 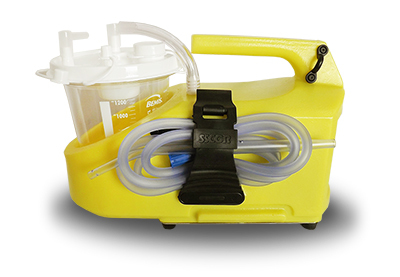 Portable emergency suction allows you to go directly to the patient, rather than trying to move a potentially vulnerable person. 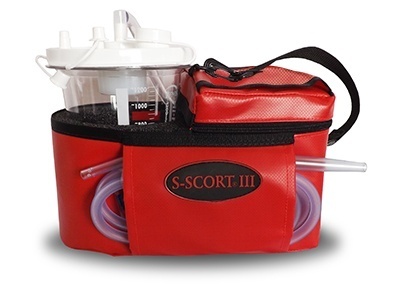 Effective suctioning quickly clears the airway while reducing the risk of iatrogenic injuries. 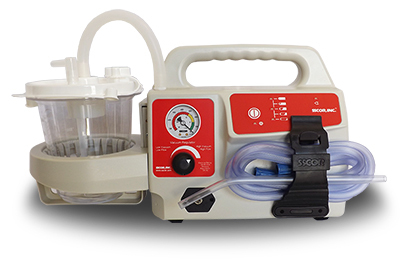 To find the right portable emergency suction device for your agency, download our free guide, The Ultimate Guide to Purchasing a Portable Emergency Suction Device.